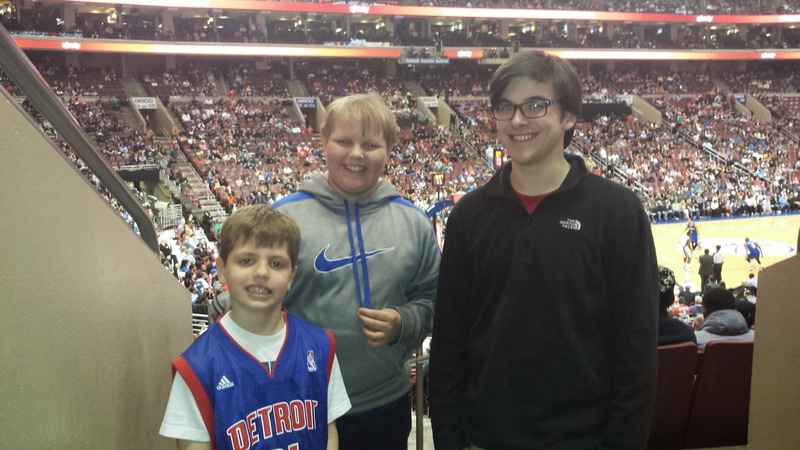 Last Saturday we made the drive down to Philly with my cousin Chad and Uncle Rick to watch the 76ers take on the Detroit Pistons. The main reason for going was to try to catch up with Charlie Villanueva. 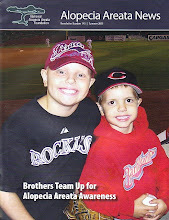 I first met Charlie when I was 4 and he was a rookie with the Toronto Raptors. Like me, Charlie has alopecia. We've had the chance to connect several times through the years through his program "Charlie's Angels". 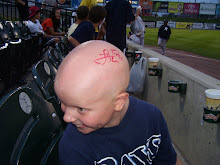 This is a program Charlie came up with in 2005 and he meets with kids with alopecia to talk, take pictures, sign autographs, and show support. In 2006 Charlie won the NBA's Community Assist Award because of his program. It was also a BIG night for the 76ers. They had lost a record tying 26 games in a row heading into Saturday and were looking to beat the Pistons so they didn't break the record for most consecutive losses of the 4 major sports! 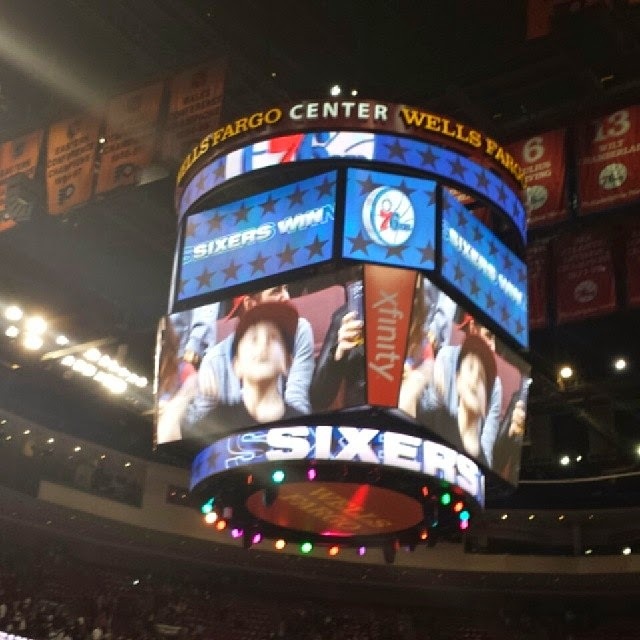 Well, the 76ers came out on top 123-98 avoiding a record breaking losing streak. We didn't see Charlie at the shoot around and couldn't connect after the game, but it was still a great game to watch. 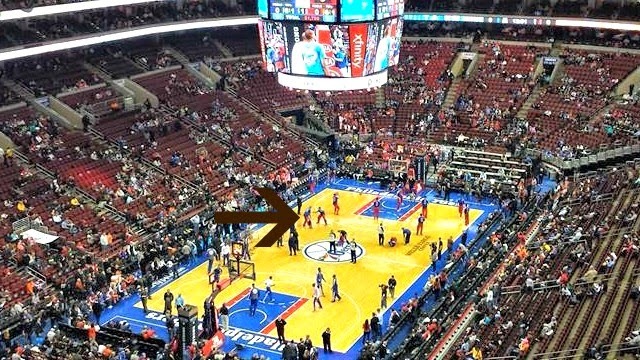 So we ended up with 0 autographs, but saw the 76ers avoid history with the win! Charlie did send me a message on Sunday and we will definitely catch up next season!